The photo I’m sharing today is from a morning walk last year, on our holiday in the Lake District, starting from Glenridding by Ullswater. The first part of the walk went upstream along the beck, towards a disused mine below Sheffield Pike. While it wasn’t a steep walk by any measure, I remember the first section as a long uphill piece, so I was happy for an excuse to rest a bit and make some photos. For this one I set up my tripod for a longer exposure, with a composition that kept as much of the beck in view as possible. 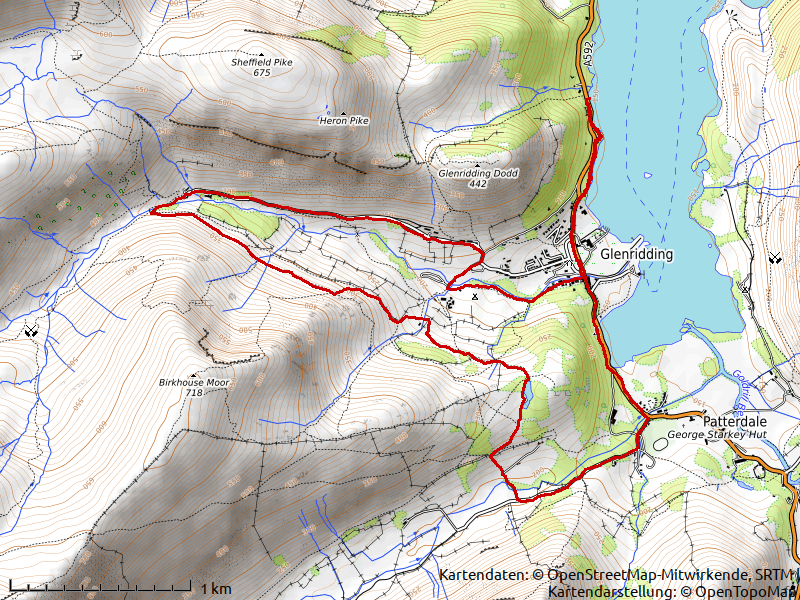 For the curious, I’m including a map of my walk below. 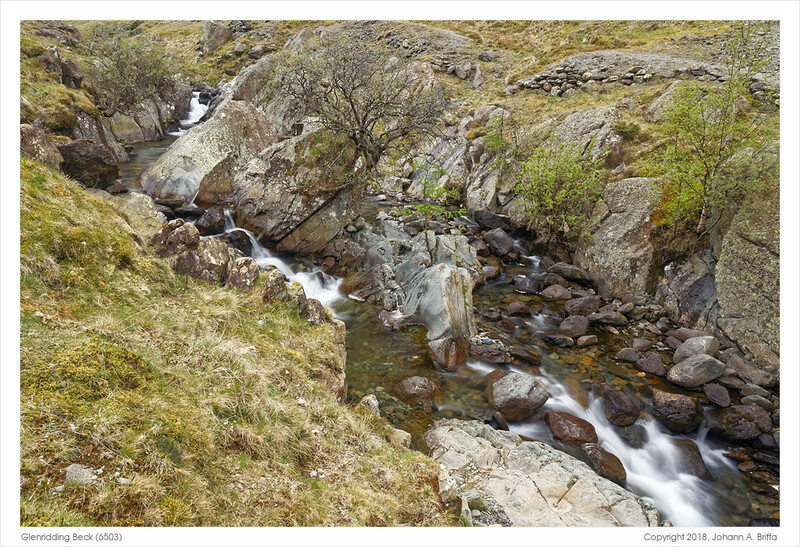 There will be at least another photo from this walk, of Grisedale valley on the latter part of the walk.